A masterpiece of water-cooled ambient/electronica. 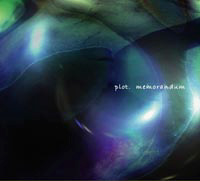 As pro-drummer played with Tsuji Ayano and tohko,As the member of Dub-unit with Yoshio machida,Norihide Saji played his fame, and Norihide Saji finaly released as his own solo-project plot.. His first album "memorandum",including Yume to Nikki,selected for TVCM of EDWIN "something". Sora remixed for plot. "i am"。 Including remix of "i am" by Sora. plot. - Yume To Nikki - 03:45 � 00.00 Buy this Song ! plot. - legato - 03:44 � 00.00 Buy this Song ! plot. - rwunnhsa.htg. - 03:26 � 00.00 Buy this Song ! plot. - I am - 04:23 � 00.00 Buy this Song ! plot. - the 3rd Anniversary - 04:37 � 00.00 Buy this Song ! plot. - gldf;Kkwop - 05:47 � 00.00 Buy this Song ! plot. - sticking to rhythm - 05:46 � 00.00 Buy this Song ! plot. - a particle of light - 03:20 � 00.00 Buy this Song ! plot. - relief - 03:32 � 00.00 Buy this Song ! plot. - 29 - 03:10 � 00.00 Buy this Song ! plot. - snow in the sand - 02:40 � 00.00 Buy this Song ! plot. - I am (Sora remix) - 02:35 � 00.00 Buy this Song !